With the U.S. presidential election ending almost a year ago, preparations are already underway for the 2018 midterm election. In South Dakota, there are six local candidates running for U.S. Congress. Democratic candidates are Chris Martian and Tim Bjorkman. Republican candidates include Dusty Johnson, Shantel Krebs and Eric Terrell. Lastly, George Hendrickson is running as an independent candidate. All candidates have different viewpoints, experiences and stances on issues that affect South Dakotans. Voting will take place on June 5, 2018. The general election will begin on Nov. 6, 2018. Not only are congressional candidates preparing for the midterm election primary date that’s soon to come, but so are USD students. College Democrats hosted a town hall with Bjorkman on Oct. 9. The town hall marked the fifth for Bjorkman since he announced his candidacy in July. Brett Ries, the College Democrats president, said other political figures such as Billy Sutton, the Democratic candidate for governor, will be coming to campus Nov. 1, among other candidates. Ries said College Democrats is also working with Clay County Democrats and expressed the difficulty in getting people motivated during an off election year. “There’s always room to get involved with a campaign,” he said. College Republicans are doing similar events as well. Jaedon Foreman, vice president of College Republicans, said College Republicans have had a few events to get congressional candidates to campus. Foreman said College Republicans is trying to form a debate with College Democrats and working on reaching out to Republican governor candidates Kristi Noem and Marty Jackley. College Republicans is also reaching out to different student organizations to plan events for the midterm election. A way to keep discussion moving is to talk about various topics effecting South Dakota, Ries said. Foreman said students should get involved in the political process. Personal responsibility, diligence and perseverance are fundamental to what the Bjorkman campaign believes in, he said. Bjorkman announced his candidacy for the U.S Congress in July. Since then, his campaign has worked on forums, town halls, fundraisers and campaign stops. Alex Fall, field director for Bjorkman’s campaign, said he believes in Bjorkman. Fall said 180 people have signed up to volunteer for Bjorkman so far. Fall said Vermillion community members and students should get involved in the election. There were several issues discussed among students and faculty at the townhall on Oct. 9. Bjorkman said those who want to seek public office need to be cognizant of what elected officials say. “I do know that it’s the people in the communities who actually try to help people on a regular basis and that we people who seek to serve us all need to be very attentive to what (elected officials) have to say,” he said. Johnson said he wants to bring his positive attitude to the nation’s capitol. Johnson said during his political career that he ran against an 18-year incumbent for the Public Utilities Commission (PUC) and saw many improvements. Johnson was re-elected to the PUC for another six-year term in 2010. However, Daugaard asked Johnson to serve as his chief-of-staff. Johnson said college students should get involved with the midterm election. Martian, Krebs, Terrell and Hendrickson weren’t available for interviews before this article was published. 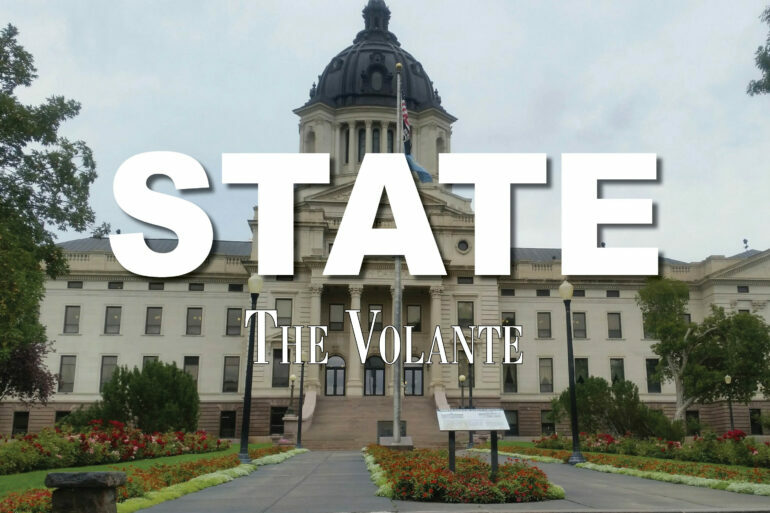 The Volante will continue to cover candidates’ platforms as the race progresses.